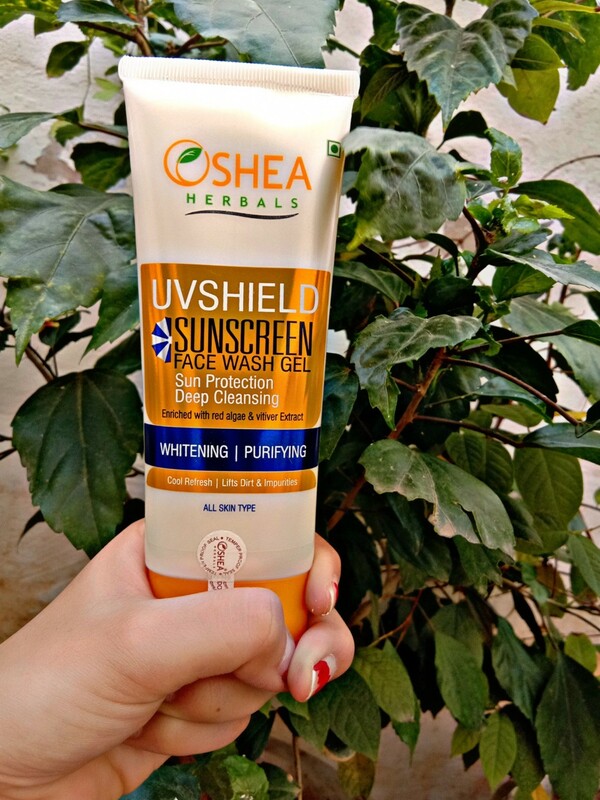 If you ride a bike or scooty then surely your skin would suffer set back because of pollution. I remember my school or college days, when I used to come home and could easily see a black tissue when wiped my face with it. 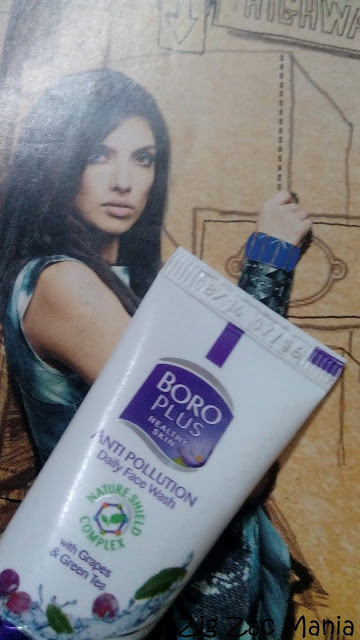 When I saw this face wash with anti-pollution tag, then it was worth buying it. 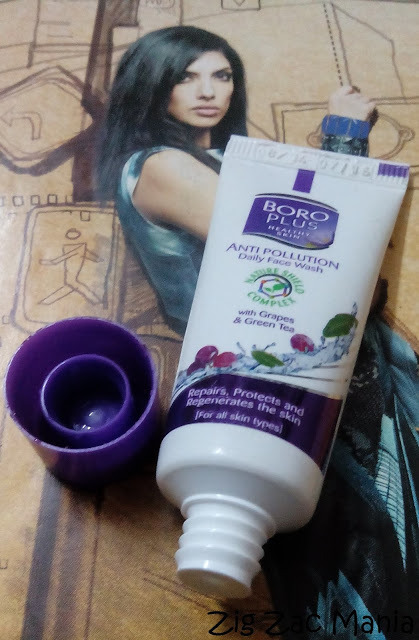 Here is my complete review about Boroplus Anti- Pollution Daily Face Wash. Product claims: Boroplus Anti-Pollution Face Wash contains nourishing Grade & Green tea oil with other herbs to position it as a face wash with moisturizing properties. 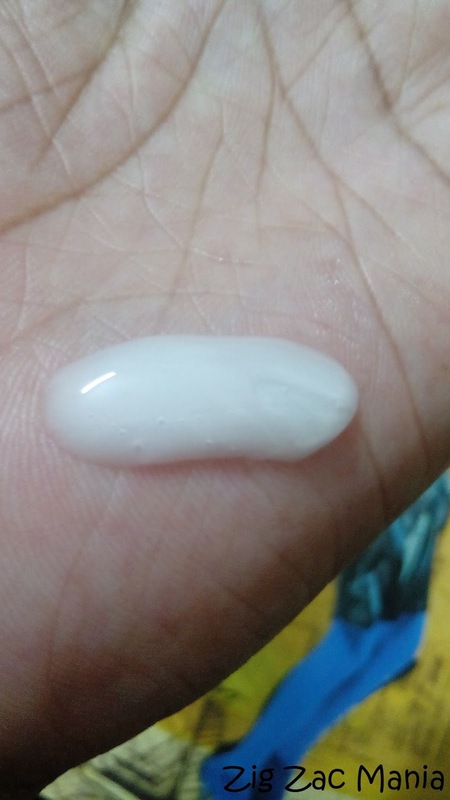 It Not only deep cleanses the skin of pollutants but also penetrates in deep layers to repair the skin damages. 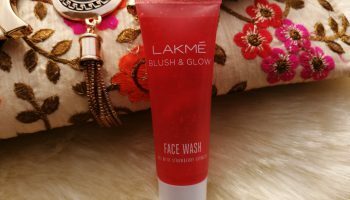 It cleanses dirt, prevents clogging of pores, maintains natural moisture balance, help skin tone and with cools refreshingly effect. Ingredients: Grapes & Green Tea. Online availability: Shopclues, milestores, gopeppers, Flipkart, easymedico.com etc. 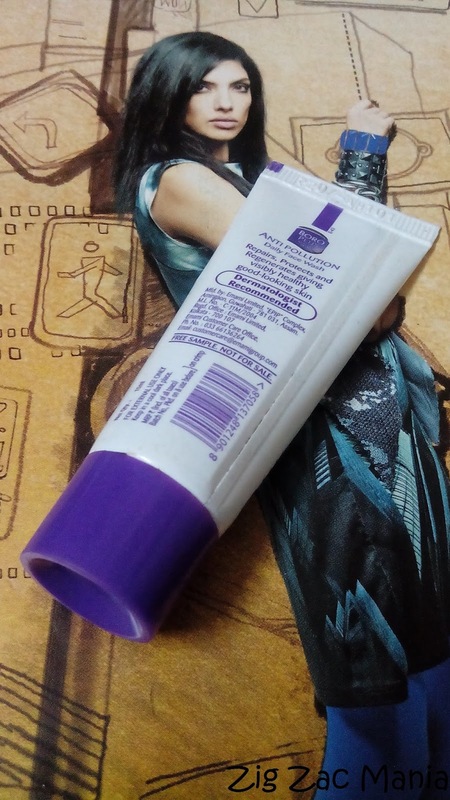 Packaging: This face wash comes in a squeeze tube which has a very beautiful color combination of white and purple. It has a purple color screw cap. 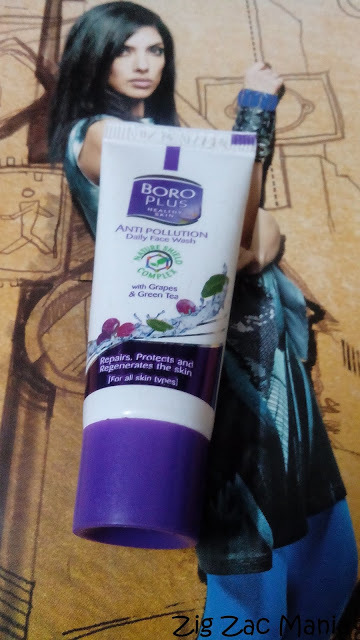 No ingredient list is provided apart from two main ingredients listed as Grapes and Green tea. The tube can be easily kept vertically on a wash basin as well as your dressing table. 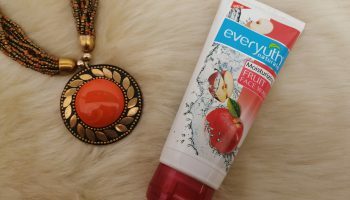 My opinion about product: In today’s era, it is very difficult to protect yourself from pollution. Above that if you have oily skin then you will see a separate layer of dust sticking on your face. 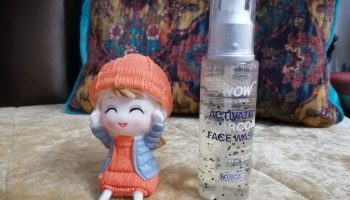 As I have oily skin, so whenever I have a trip out of home, then washing of my face is mandatory. Boroplus anti-pollution face wash is milky in color, which has a strange smell. This doesn’t lather much so an extra quantity is needed for appropriate result. 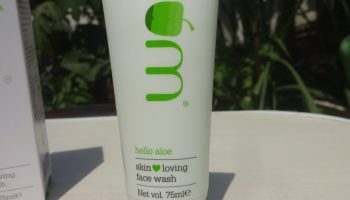 This face wash is very mild on skin so doesn’t dry out skin, may be because I have oily skin. So I need not to moisturize my skin every time I wash my face. 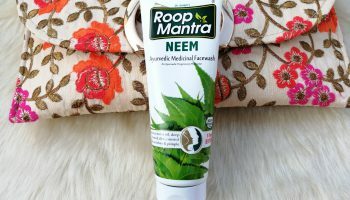 So overall it is a very good product which makes my skin, soft, refreshing and dirt free. 1. 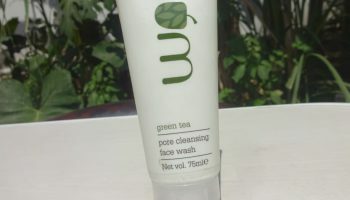 Has goodness of green tea and grapes. 2. For all skin types. 6. Easily available in local market. 7. 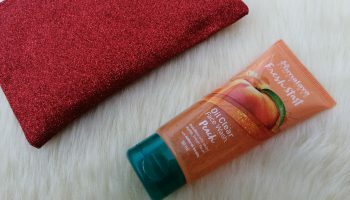 Makes skin squeaky clean. 1. No ingredient list mentioned. 2. 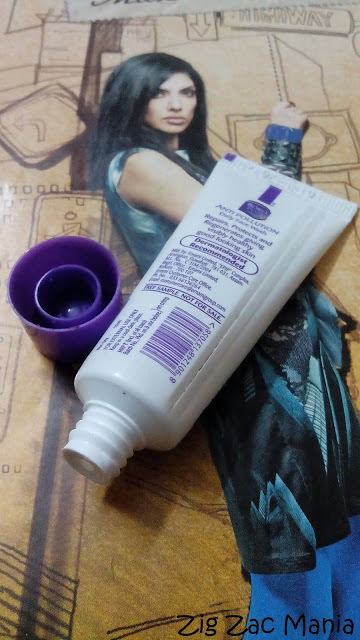 May not be suitable for dry skin. That is a good recommendation. 4.3 is very good. Will try the product.